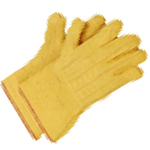 Aluminized Carbon Kevlar® fabric - 14"
Made from heat resistant aluminized fabrics for radiant heat protection. 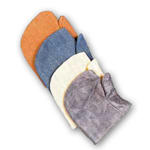 All styles are fully wool lined and sewn with Kevlar Thread. 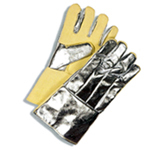 cuff and thumb made of Aluminized Carbon Kevlar® fabric. 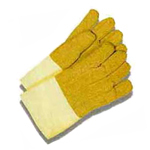 Aluminized Combination Fabric Gloves - 14"
14” Glove made from Aluminized Rayon fabric. 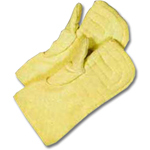 Prices are shown as per Cover Mitt. 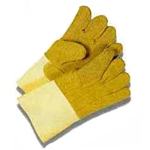 Welding and heat applications, plus all general purpose applications requiring heat, flame or spark protection. 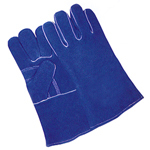 Now used by glass workers. 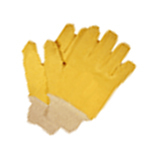 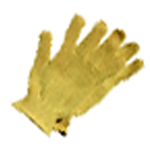 $ 2.00 Add suffix “-01” to above for Thumbslot. 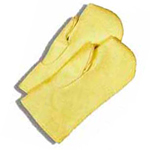 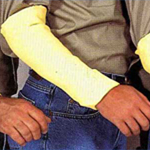 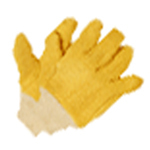 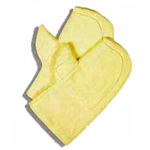 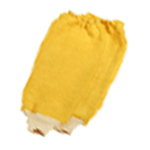 Kevlar Terry Cloth Glove 14"
Kevlar Terry Cloth Sleeve 16"
Price shown as per sleeve. 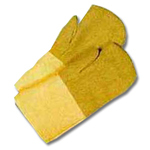 Kevlar/PBI 22oz, Wool Lined Mitten 14"
Kevlar/PBI 45oz, Wool Lined Glove 14"